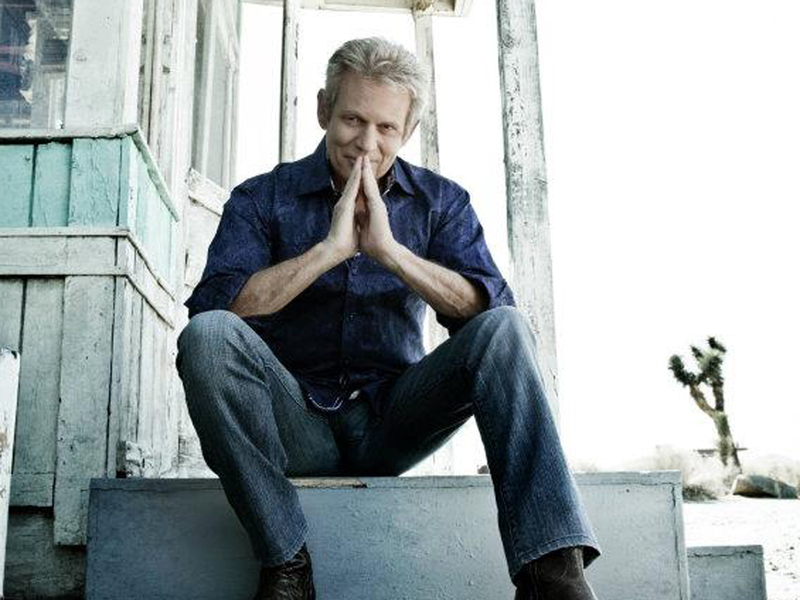 The guest appearances on Don Felder's new album read like a "who's who" list in the music business. The former Eagles guitarist called up a few of his close friends to see if they wanted to appear on "Road to Forever," his first new solo album in nearly 30 years. And they did. David Crosby, Graham Nash and Stephen Stills; Steve Lukather, David Paich and Steve Porcaro of Toto; producer/bassist Randy Jackson; and Styx's Tommy Shaw all play on Felder's album, released last month. "It didn't start out to be a celebrity list of players," Felder, 65, told CBSnews.com. "I invited some of my long-term really close friends...[Stephen] Stills and I were in a band when were 15," said Felder, adding, "Everyone knows Randy [Jackson] as the 'dawg' dude on 'American Idol,' but Randy is absolutely one of the best bass players in Los Angeles." Felder said that in terms of guest musicians, he was looking for a few specific things: "great players and good people who are really fun to work with." "There was a lot of drama, conflict and contentious conversations making Eagles records," he recalled. "And I didn't want to do that again...I wanted it to have a very positive, uplifting feeling to do it and that comes across in the music." Seeds were planted for the new album a decade ago, when Felder split from both his wife of 29 years and The Eagles. "When you're in The Eagles, you have to eat, breathe and sleep Eagles," said Felder, whose last solo album, "Airborne," came out in 1983. "Either on the road or in the studio, writing, business, press. When I left the band in 2001 I really spent a couple of years just trying to get my feet on the ground. Everything that I had adopted as a self-image whether it was being in a rock band, or being married for 29 years -- all of that within a 12-month period was stripped away from me." Those experiences became the impetus for his 2008 New York Times best-selling autobiography, "Heaven and Hell: My Life in The Eagles (1974-2001)." And now they're the inspiration behind his new set of songs. "I really wanted to figure out how I had gotten from this little dirt road in Gainsville, Fla., where I grew up to the traveling and the music business, to winding up in The Eagles -- what had happened, how it changed me. Really do some self-introspective, cathartic research was what it was," said Felder, a key member of the band for 27 years. The veteran guitarist started doing 45 minutes of meditation every day to help "center and ground himself" before going forward. He spent a lot of time writing down his feelings and recollections in legal pads that turned into both his book and music. "It was kind of a dual cathartic process," said Felder, who worked on music inside his home studio. Twenty-six song ideas were narrowed down to 16 before turning into the 12 tracks that appear on "Road to Forever." The collection features a range of genres - from R&B and ballads to heavier rock songs, as well as "sweet things" like "I Believe in You," Felder said. "My life was a long story," Felder added, laughing. The album has received some positive press, with Rolling Stone describing it as "one of those timeless albums, cut to ride on highways, which we love to know still exist." "I try not to read my reviews because I think it just does strange things to your head. There are definitely going to be people who like and people who don't like it," he said. The lead single, "Fall From the Grace of Love," appeared in an episode of Showtime's hit series, "Homeland" earlier this month, and songs such as "Wash Away" and "Heal Me," speak to that time period after he parted ways with The Eagles. "It's sort of this story of being swept up in this Eagles phenomenon and all of that come crashing down and all of my identity being swept away and kind of a rebuilding on the record," said Felder. When asked what kind of relationship he has now with the guys from his former band, Felder said it's unlike the cordial friendship he has established with his ex-wife, with whom he shares four kids. "I attempted that numerous times with the guys in The Eagles and unfortunately the only response I get is from their attorneys," said Felder who was caught up in lawsuits and countersuits with the The Eagles' Don Henley and Glenn Frey around the time of his split. It's seems though, that despite the ups and downs, he still has fond memories of his time in The Eagles. Felder co-wrote some of group's most famous songs, originating "Hotel California" and collaborating on "Victim of Love." "I did a show for the UN in New York City in August and I played in front of 250 heads of state from all over the world and I would say less than half of them could speak English," said the Rock and Roll Hall of Fame member. "When I played that song ['Hotel California'] I got a standing ovation. They all knew that song. And you go, 'Wow, this really has had a global impact that none of us ever foresaw or imagined.' It's a real honor to have been part of something so successful and I'm very thankful I was given that gift." Felder will take his new music out on the road in 2013. He jokes that his manager and booking agent want him on "tour for the next 25 years," but Felder is keeping things a bit more low-key nowadays. "In my earlier times, with my first group of children, I was an absentee dad for about the first eight years of their lives when The Eagles were really running hard in the '70s...and I realized I suffered a great deal of loss with my relationship with my children," said Felder, who now puts a cap on how many shows he'll do in a year. But he's looking forward to getting out there and playing the new songs in concert. "The one thing that I kept coming back to was the one thing that propelled me throughout my entire life since the age of 10 was the love of music," Felder said. "Loving to write, loving to play, loving to record -- that's the main motivation that drove me -- and still does today."